What is the ultimate formula for learning at the deepest level? Is it raw intelligence, a great teacher, good studying habits, or a perfect study space? Is it critical thinking, creative thinking, a mindset of success or dogged determination? The formula is probably a combination of all these things and more. Each student, though, will have unique stories to tell about how deep learning has occurred for them. In fact, stories about deep learning are the basis of What the Best College Students Do, a book by historian and educator Dr. Ken Bain. In writing this book, Dr. Bain conducted more than one hundred interviews with notable lifelong learners, like Stephen Colbert of The Colbert Report and astrophysicist Neil DeGrasse Tyson. Dr. Bain asked each interviewee to talk about how they used their college experience to develop and feed their curiosity about topics that interested them—topics that came to define them in many ways. The deep learning each person experienced helped them go on to lead focused and purposeful lives. If Dr. Bain were to interview you, what would you tell him about an experience you had in which you learned deeply? What factors account for how you absorbed knowledge during that experience and how you used the knowledge for something that mattered a lot to you? Conversely, which factors were missing when you had the experience of not learning deeply? In this section on deep learning, we examine key strategies you can use not only to get good grades but also to truly enjoy your learning experiences in college and to reap the greatest rewards from them in the future. Deep learning is a key to succeeding in college and in life. 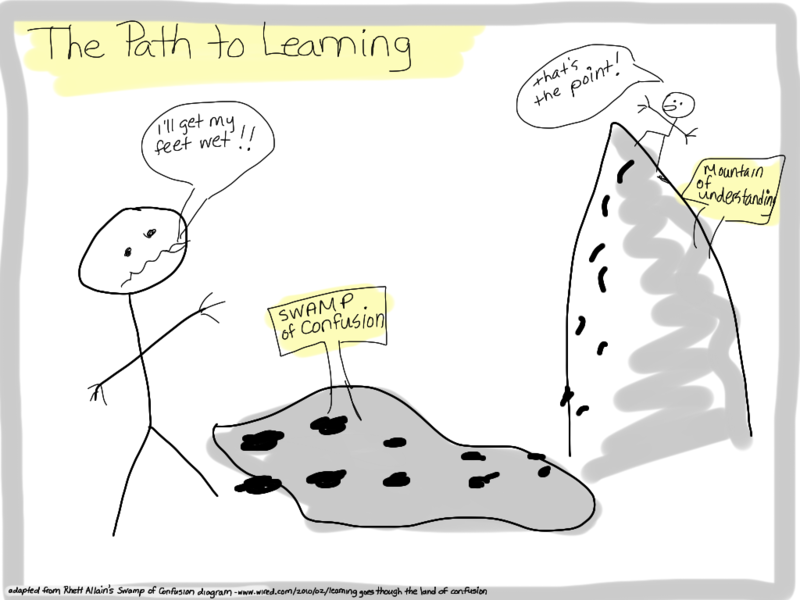 Surface learners: They do as little as possible to get by. Strategic learners: They aim for the highest grades rather than for true understanding. Deep learners: They gain a real, rich education in college because they pursue their passions more than grades. They are also comfortable with experimenting more than with “getting it right,” and they develop a personal connection to their studies. Which learner do you feel you are now? Are you drawn to learn more deeply? To illustrate the process of deep learning, let’s use an example of what deep learning is not: “cramming” for a test―studying right before an exam without much preparation beforehand. Can you remember a time when you stayed up late to cram for a test the next day? How did it turn out for you? Did you pass the test? Did you learn much while you were cramming? How much do you remember now of the material you studied then? The problem with cramming is that it doesn’t give the brain ample time to process information or to make the kinds of critical connections necessary for the brain to retrieve the information later on. When you cram, you simply forget what you have learned much faster than when you study diligently and steadily over an extended period of time. Why would this matter? Why not just cram, take a test, do reasonably well, and move on to the next challenge? One of the main reasons not to embrace this approach is that without learning deeply, you lose the opportunity to apply what you learn to other pursuits (in college and in life). For example, if you have classes later in college that build on earlier courses, will you retain and be able to apply what you should have learned from the classes in which you crammed? Will you need to learn the material on a deeper level this time? Another cost of cramming is that you forgo the pleasure and satisfaction of acquiring knowledge at a deep level. In sum, learning deeply goes beyond just test scores. It connects to skills you will need the rest of your life, like critical thinking, critical analysis, applying principles to solve problems, assessing your effectiveness, revising, and applying what you know. So, if you are looking ahead to do well on a test or some other kind of assessment, avoid cramming. Start studying now and keep studying as you go along. Use your time-management skills and tools to make the time for it. Recall improves when studying is spread out over time, because every time you retrieve information or knowledge, you’re learning it more deeply. Also, by spreading out your studying, you can avoid mental exhaustion and having to cram before exams. Take study breaks to relax both mentally and physically. Sometimes the best way to learn a new idea is to first “unlearn” an old idea that’s hindering the new one. This is certainly the case with principles of learning, because there are many misconceptions about how people best acquire knowledge and retain it. Below, we identify and deconstruct some of these misconceptions and replace them with ideas you can use to help you learn deeply. If you believe that your learning abilities are fixed, you’ll put up mental blocks that hinder your learning. For example, if you usually get straight A’s, you may avoid taking intellectual risks that take you out of your comfort zone or jeopardize your perfect record. Similarly, if you believe you are not good at something, like math, you may avoid really trying or lower your expectations. Know that your beliefs affect your behaviors. Cognitive psychologist Dr. Stephen Chew calls these “beliefs that make you stupid.” Watch his video, below, for suggestions on how to overcome these beliefs. 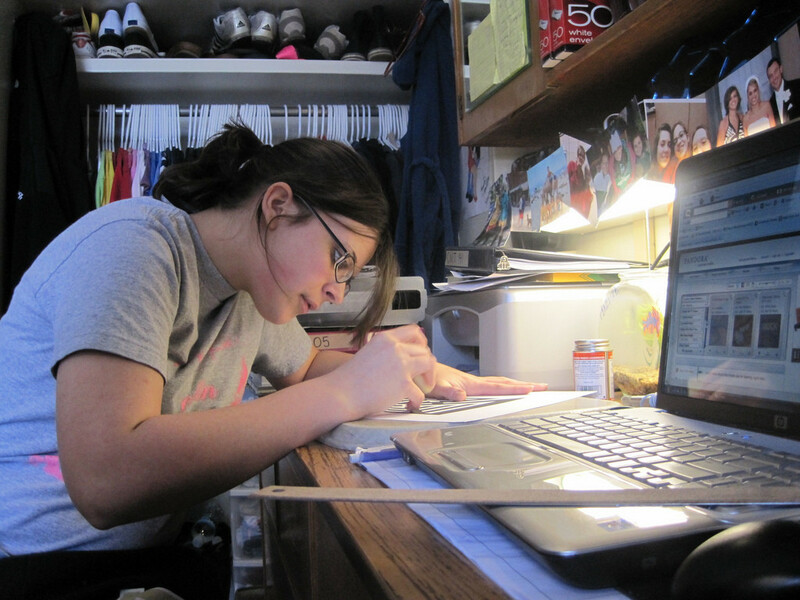 If your tried-and-true study strategies aren’t working, use a different approach. Monitor your learning by measuring your knowledge against what you expect. Before you start studying, think about how it will go. Predict your homework and test results, and see if you’re accurate or not. Notice when your expectations fall short of reality, or overshoot it, and adjust your approach accordingly. This is called “metacognition,” and it’s an important part of deep learning. When faced with familiar terms or examples, you might find yourself feeling like you really understand the material. But in fact your brain might really just be responding to the fact that it has seen this exact material before. This is called the familiarity trap—when everything seems familiar and your brain doesn’t have to work so hard and so it feels like you’ve mastered the material, even though you haven’t. Try to mix things up as you’re studying. More and more evidence suggests that confusion is where deep learning lies. It might even be that some level of confusion actually activates the parts of your brain that regulate learning and motivation, helping you achieve a greater level of understanding. If you’re not confused, you might not be learning. Try not to let yourself get discouraged if it feels like you aren’t understanding something. Not understanding can be a good sign. For a brief explanation, see Learning Goes Through the Land of Confusion by Rhett Alan, a physics professor at Southern Louisiana University. Retrieve—don’t regurgitate. Develop your own test questions, ask yourself questions, solve sample problems, and analyze for deeper meanings. Need some good questions to ask yourself? Try this: Why is this answer important? What does it relate to? How does this answer connect with what I already know? Can I elaborate this answer? Can I illustrate it with an example? Retrieving what you’ve learned from your memory helps you strengthen connections and relearn each time you do it, that is, every time you retrieve something from memory, you’re essentially re-learning it and creating different pathways for retrieval. The more paths you create to knowledge, the more likely it is that you’ll find a way there when you need it. You can find some more at the Teaching Professor Blog. If you’re confused, don’t give up. Working hard to understand a problem or to figure something out isn’t a bad thing, and it will likely lead to a deeper understanding of the material, which will stay with you for a long time. This is especially important if your other courses build on that concept you are grappling with. If you need help developing new strategies, the following video might do the trick. 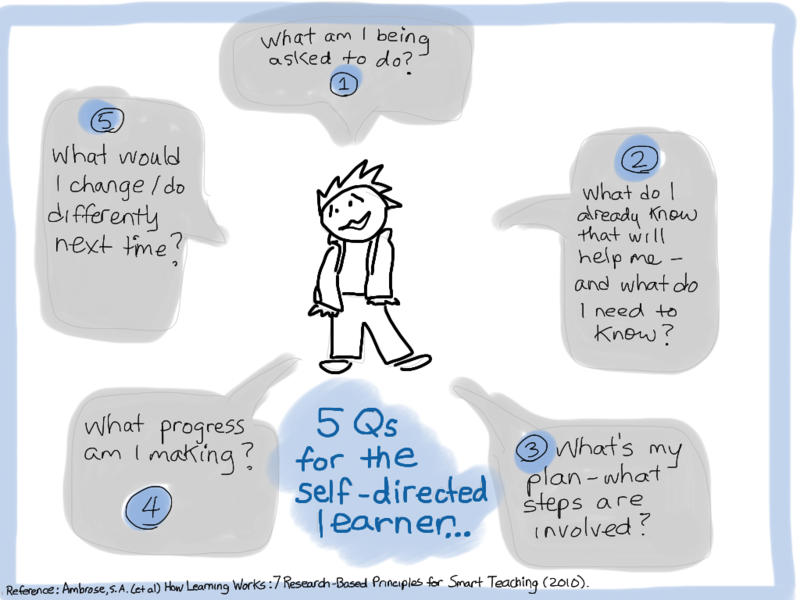 Being a self-directed learner requires planning. Answering the five questions from the graphic, above, can help to build a disciplined approach, which will help you tackle your academic work. Target your studying: Try to study key themes, and take what you know about the exam structure into account when you’re planning. If you know you’ll have an essay, write outlines! If you have to solve problems, go over homework or make up your own problems. Review or practice throughout the term. Without regular review, you may have to relearn a large portion of the course right before the final. “Every success is built on the ash heap of failed attempts.” This reminder from Prof. Michael Starbird (University of Texas at Austin) offers a good reason not to fear failure. Failure doesn’t often feel good, but it may be your best teacher in helping you learn deeply. In fact, in the book 5 Elements of Effective Thinking, authors Edward Burger and Michael Starbird say that failure is an important foundation on which to build success. But seeing failure as an opportunity for learning requires a fresh mindset. Once you make a mistake, you can ask, why is THAT wrong? Failure is an important aspect of much creative work, though it goes by a different name: iteration. Iteration is important in refining, working though problems, starting small, and refining until more can be added. Iteration is a feature of work in design, science, technology, and really any field where innovation is important. Give yourself permission to fail. When working through problems or studying unfamiliar concepts, consider allowing yourself to fail nine times before getting it right. This may free your mind to think creatively about solutions without the pressure to “get it right.” You may find that repeated failures may actually lead you to new insights about the problem that you can take into other contexts. The following are additional study techniques you can use to work your brain, raise your grades, perform well on assignments, and, most important, learn deeply. Consider real-world applications. Use what you are learning when tackling real world events or problems, or consider real-world applications of what you’re learning. Reflect on how the skills and knowledge you are building can be used beyond college. This creates more pathways in your brain and can help keep you motivated. Monitor your learning. Self-monitoring your learning includes evaluating, planning, and reflecting on your learning strategies and approaches. Reflecting on what you’ve done helps you see the value of certain strategies that leverage your strengths and improve on your weaknesses. It also increases your sense of control over outcomes. Seek specific and meaningful feedback. Ask for and use feedback from instructors, teaching assistants, and peers to adjust your learning and studying techniques. This can help you avoid studying and working very hard without results. Chunk the information you’re studying. With chunking, you break the concept you’re struggling with into smaller pieces, and sort those pieces by theme. Focus on understanding these chunks and they’ll be much easier to digest. Test yourself 5–15 minutes later. Mind maps and visual note taking can help with chunking. Set priorities. Set realistic goals and prioritize your studying by surveying your syllabus, reviewing material, and identifying the most important topics covered in the class, or areas you’re struggling with. Create association maps. Mind maps and concept maps can lead to meaningful learning, as they force you to reorganize and make sense of the information. Redo your notes as a diagram or as a concept map. Make connections. What you’re learning ideally applies to the real world. Make connections between course concepts, different courses, and real-world situations. If you’re having trouble understanding something, ask yourself how these concepts apply to your life. Ask questions to reduce bias. Check your thinking by asking questions about what you’re learning. What’s being said? Who is saying it? Why are they saying it? Who else says this? What do I believe? Why do I believe it? What’s missing? Asking good questions helps us solve problems, make thoughtful decisions, and think creatively. Review the list below of attributes of experiences that led to deep learning. Which of them remind you of an experience you had in which you learned deeply? Write a journal-style reflection (1–2 pages) of the deep-learning experience you remember. When and where did it take place? How old were you? Were you with peers? Was it a classroom experience or did it take place in another environment—perhaps not a formal learning environment? What were your feelings at the time? What did you learn? Were you able to apply your newly gained knowledge to a real-world situation? Be actively involved with your learning. Be engaged in real and meaningful learning activities. Understand how the learning fits into a bigger picture beyond the structure of a course or class. Engage in reflective writing that personalizes your learning. Sense or believe that you are in a supportive environment without fear of making mistakes or fear of taking risks. Sense a freedom from judgment of others. Actively relate the information to your life and experience. Actively integrate new ideas and knowledge with existing knowledge. Engage in discussion with peers or others. Take deep interest in the subject. Studying with fellow classmates and/or working with them on projects and class assignments can significantly enhance deep learning. Group work can help teams chunk bigger tasks into more manageable parts and steps. It can also help participants manage their time better. In addition, group work often involves discussion and collaboration, which can improve everyone’s understanding of the material. Another benefit is the opportunity for feedback on ideas and performance. And working in groups always helps members develop stronger communication skills—both speaking and listening skills. Getting the most out of working in a group, though, itself requires some special skills. The following video, Group Work, from the University of British Columbia, offers some pointers. Know your strengths and learn what others can bring to the table. Consider these strengths when assigning roles or project tasks. Be clear about everyone’s goals so that the group has a clear idea of what people expect to get from the group study process. Goals are important to motivation. Use meetings to review progress and provide guidance and support where needed. Choose a good online tool to help you collect and respond to one another’s ideas and questions between meetings. Conflict is natural and can be necessary to achieve collaboration. Learn to manage it. Keep group interests at the forefront. Be flexible in looking for solutions. Make sure solutions work for everyone.